Lisa Benson Cooper alleged that she was passed over for promotions and other opportunities because of her race. A federal jury on Friday delivered a mixed verdict in a highly charged race discrimination and retaliation lawsuit filed by Lisa Benson Cooper, a former reporter at KSHB-TV Channel 41 in Kansas City. The jury of four men and four women found for the television station and its owner, Scripps Media Inc., on Cooper’s race discrimination claims but found for Cooper on her retaliation claims. The jury awarded Cooper a total of $26,000 in actual damages and $175,00 in punitive damages. Her lawyers had asked the jury to award her between $8 million and $10 million in punitive damages, or about 1 percent of Scripps’ net worth. Scott McIntyre, an attorney for channel 41 and Scripps, said, “As has been made clear during this trial, KSHB is committed to the highest standards of journalistic and organizational integrity. While the station had hoped for a swift resolution of the claims, the station is confident that future litigation will reinforce our commitment to diversity and inclusion." Cooper, who is African American, was a general assignment reporter at channel 41 for 14 years before she was fired in mid-2018. She went by Lisa Benson on the air. The jury deliberated for about seven hours before returning its verdict late Friday night following a 10-day trial. All but one of the eight jurors was white. Cooper sued KSHB and Cincinnati-based Scripps in late 2016 for race discrimination. She alleged she was denied promotions and other job opportunities because of her race. After she was fired, she added retaliation claims to her lawsuit. Cooper complained she was passed over by the station for a weekend morning anchor position in 2013 and for a job as a consumer/ investigative reporter in 2015 because of her race. KSHB maintained that Cooper was not given the positions because she didn’t apply for them – she was on maternity leave when the weekend anchor position came up – and because there were other more qualified applicants. The station also contended it had legitimate reasons, unrelated to race, for suspending and later terminating her. It pointed to what it described as an inflammatory article in The Guardian newspaper about white privilege that Cooper shared on her private Facebook page. Two white female reporters at the station complained about The Guardian posting, which eventually led to Cooper being suspended for two days without pay. The station also gave other reasons for its actions: It said Cooper and her husband had failed to pay their taxes for five years; Cooper had yelled at her supervisor; and Cooper was untruthful when she was interviewed by an outside investigator hired by Scripps. 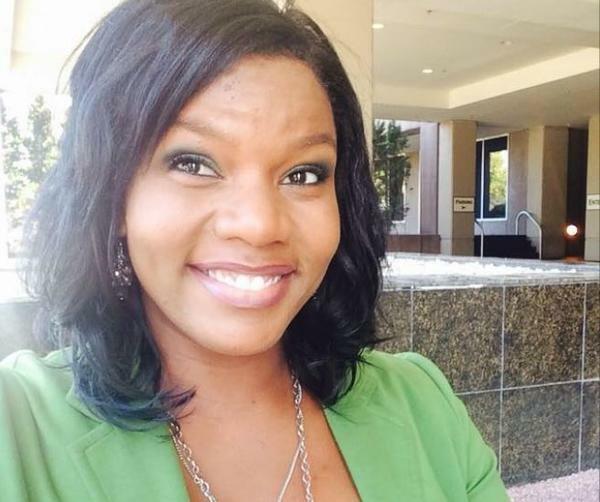 Another black reporter at KSHB, Demetrice “Dee” Jackson, has also filed a race discrimination suit against the station. Jackson alleges he was twice passed over for the position of sports director after he was led to believe he would get the job. In the first instance, the job was awarded to Frank Boal. In the second, it was awarded to Joseph “Mick” Shaffer. Both are white men. Jackson was formerly sports director of a TV station in Montgomery, Alabama. He remains a sports reporter at KSHB. Last month former KCTV Channel 5 anchor Karen Fuller settled an age and gender discrimination lawsuit she filed against the station’s owner, Meredith Corp., on undisclosed terms. Fuller, now an anchor with the CBS affiliate in Cedar Rapids, Iowa, alleged that Meredith had created an “age ceiling” for its female anchors but not for its male anchors.